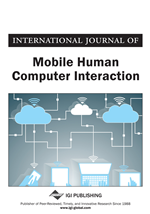 On 23rd September 2014 the authors organised a workshop on self-reflection tools and wearable sensors as part of the ACM MobileHCI 2014 Conference in Toronto, Canada. The aim of the workshop was to bring together professionals from different backgrounds to discuss the current adoption of such methodological tools, their challenges and future trends. Examples of own individuals' work were presented where such methodologies had been employed. Hands-on activities enabled us to fine- tune our understanding of those methodologies and unpack new potentials regarding their advantages and limitations. The workshop argued that the potential synthesis of such methodologies in collecting data will contribute to a new form of ‘Big Data on-the-go' while introducing ethical, control and management challenges. The workshop revealed interesting opportunities arising from the synergies of sensors and reflection tools with a wide range of applications. Finally, the workshop offered opportunities for experimenting with sensors and reflection tools on site. Industry-based, research and academic-based individuals joined us for the workshop aiming to openly discuss issues surrounding these methodologies, new potentials and understandings. At the beginning of the session and prior to presentations, participants had the opportunity to display and introduce sensory and diaries toolkits that they brought with them. Examples of technology kits that were brought include: wearable cameras (e.g. Autographer and Narrative clip), Android Mobile Diary application (on Nexus S), activity sensors (e.g. Jawbone) and Lego-like programmable hardware technology (e.g. littleBits (littlebits.cc/ - Figure 1). Bluetooth beacons had already been installed in the area to further facilitate the forthcoming hands-on activities within the workshop.